Below you will find interactive maps of local Christmas Displays to visit around our area. *Map created by Andrea Gillhoolley of the the Lebanon Daily News. 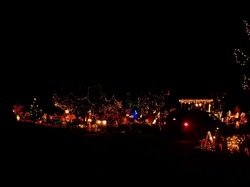 Here is a picture along with a short video I took of the display out on Waterworks Road in Ono. If you're in the area you definitely need to check this display out! He always does an excellent job with his Christmas display each year. Click here to view the video I took. Here is a picture of the display that is located on North 8th Street in Lebanon. 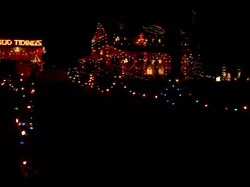 He and his neighbor across the street always do an excellent job with their displays! Click here to view the video I took of this display.